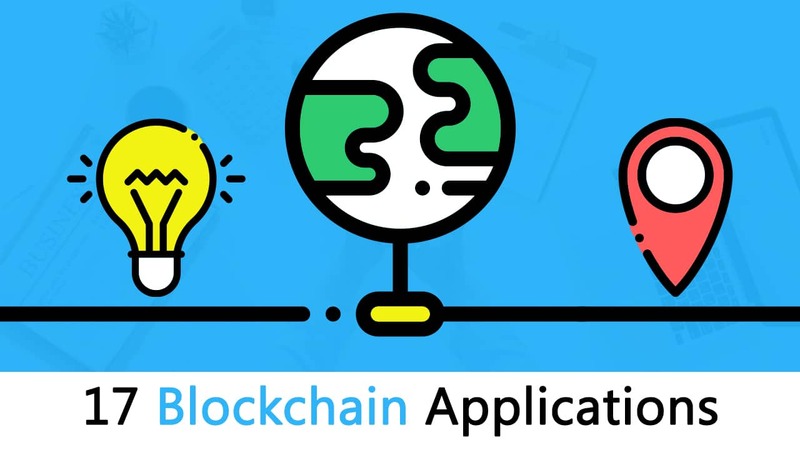 Blockchain Applications complete review. The early internet dealt with intangibles. You sent or received emails, corresponded on forums, read and distributed articles. This modern internet deals with assets, your most valuable immediate items that you can touch and want to protect. These assets are stored in encoded form on a network-to-network chain called the blockchain or ledger, where each participant sees who you do business with. This not only protects your business dealings and prevents theft, but, also, simplifies your affairs, quickens the process, reduces errors, and saves you from hiring a third party. If you are looking to create your own applications, please check out our blockchain courses. Traditional systems tend to be cumbersome, error-prone and maddeningly slow. Intermediaries are often needed to mediate the process and resolve conflicts. Naturally, this costs stress, time, and money. In contrast, users find the blockchain cheaper, more transparent, and more effective. Small wonder that a growing number of financial services are using this system to introduce innovations, such as smart bonds and smart contracts. The former automatically pays bondholders their coupons once certain preprogrammed terms are met. The latter are digital contracts that self-execute and self-maintain, again when terms are met. Smart contracts can revolutionize the traditional lending system. For instance, unconventional money lenders (e.g. hard money lenders) service borrowers who have poor credit with needed loans – while charging two to ten percent of the loan amount and claiming their property as collateral. Too many borrowers fall into bankruptcy and lose homes. The blockchain can undercut this by allowing a stranger to loan you money and taking your smart property as collateral. No need to show the lender credit or work history. No need to manually process the numerous documents. The property’s encoded on the blockchain for all to see. Sensors give companies end-to-end visibility of their supply chain by providing data on the location and condition of the supplies as they are transported around the globe. As of 2016, a Deloitte and MHI report surveyed 99 leading supply chain companies and found that sensors were used by 44% of these respondents. Eighty-seven percent of these industries said they plan to use the technology by 2020. The technology is expected to grow to 1 trillion by 2022 and to 10 trillion sensors by 2030, according to this sme Deloitte and MHI report. The blockchain stores, manages, protects and transfers this smart information. Smart contracts are digital which are embedded with an if-this-then-that (IFTTT) code, which gives them self-execution. In real life, an intermediary ensures that all parties follow through on terms. 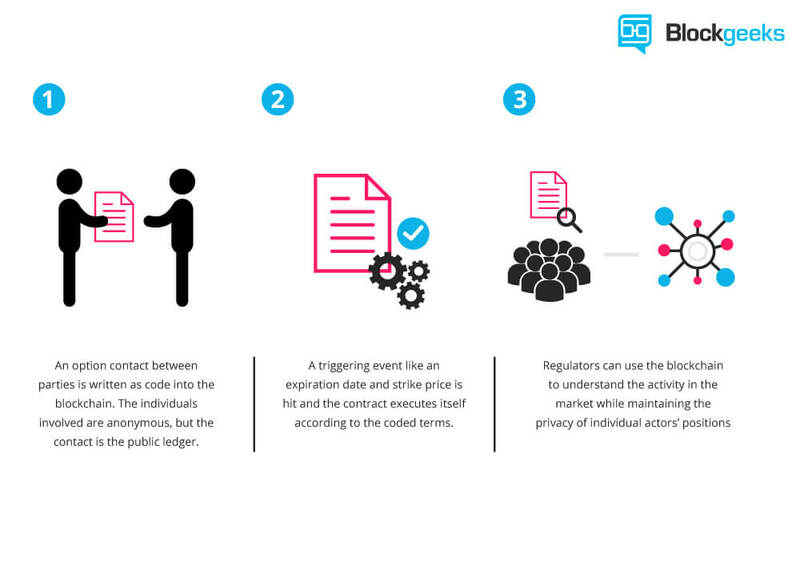 The blockchain not only waives the need for third parties, but also ensures that all ledger participants know the contract details and that contractual terms implement automatically once conditions are met. You can use smart contracts for all sort of situations, such as financial derivatives, insurance premiums, property law, and crowd funding agreements, among others. We carry a range of identifications: Our driver’s license, computer password, identity cards, keys, social security ID, and so forth. 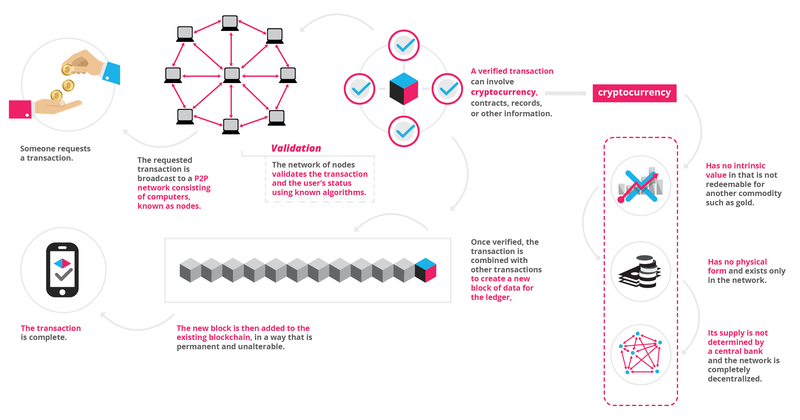 Blockchain ID is a digital form of ID that’s engineered to replace all these forms of physical identification. In the future, fintech scientists say you’ll be able to use the one digital ID for signing up at any registrar. It is open source, secured by the blockchain, and protected by a ledger of transparent account.